Where did the time go? 20 years ago seems like such a long time, but it’s getting closer and closer to the beginning of the 21st century. Two decades ago it was 1998, and Christmas-time shopping was just as hectic back then as it is now, even with the madness of Black Friday being adopted here in the UK. Apple products were still a long way off of claiming a top spot on the planets wish-lists back then. Here are some of the toys and trinkets that were delighting children on Christmas morning twenty years ago. Cute to some, frightening to others, these strange creatures created in the States set the country on fire and caused stampedes at toy stores nationwide. Easily the hottest toy of the year, there were nowhere near enough to meet demand. For those lucky enough to get one under the tree (my 5-year old self included) would have a cuddly friend that you could feed and play with to your hearts content. They spoke a gibberish language called ‘furbish’ and began to learn English phrases over time. This seemed pretty cool, until you learn that they were programmed to start speaking English eventually anyway; giving you the illusion that you were teaching it English phrases. People thought Furbies were a lot more technologically sophisticated than they were. 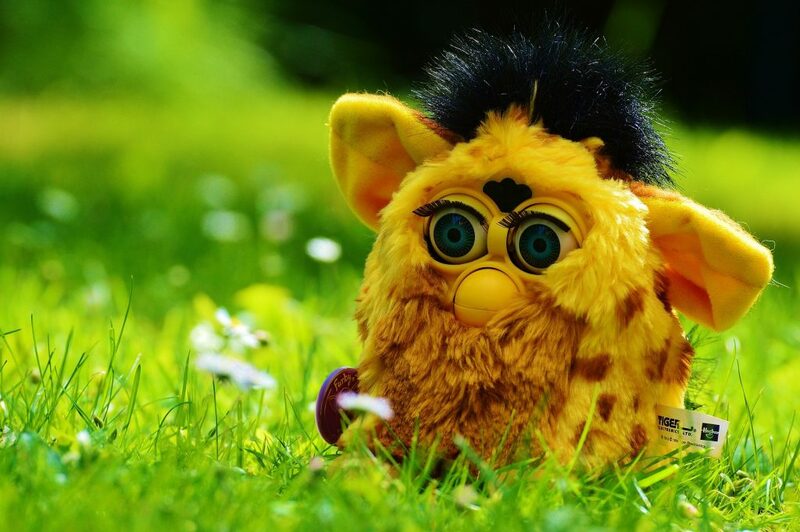 The National Security Agency in the US banned Furbies from entering their property because they suspected that they were being used to record classified information. I don’t really understand how anyone could get away smuggling one of those noisy buggers into a government building anyway. My memory of it was mostly from not knowing how to turn it off. My Furby scared the living daylights out of me on several occasions when it would suddenly turn on at 3 in the morning and start making weird noises at me. From American cuddly creatures to British ones, the talking Teletubbies toys were another smash hit over the 98’ holiday season. The colourful child-like…things?…starred in a massively popular children’s TV show, which of course means they were perfect for a cuddly toy for the holidays. Just like the Furbies, the demand for the talking toys was far beyond what was expected, so toy stores couldn’t keep up with demand. As with many hot toys of the time, the market began to become littered with black-market knock-offs that fell apart after a few minutes of play time. The gibberish you got out of these dolls was slightly more coherent than that of Furbies, but just as annoying for the parents of the children who owned them. Teletubbies weren’t just a hit with kids in England; they were a global phenomenon. 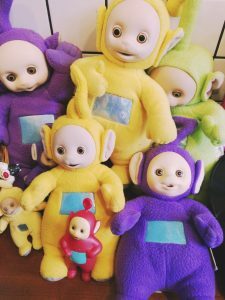 By the year 2000, with the show having been on the air for 3 years at this point, Teletubbies had generated an estimated £1 billion in merchandising revenue. No, I haven’t spelt it wrong. This was the name of one of the hottest toys of 98’ in the States and the UK. After 9 years of sickly green and black, the Nintendo Gameboy, beloved by millions worldwide, received an upgrade that brought colour to the videogames – and it came out just in time for Christmas 98’ here in the UK. Nowadays we as the consumer are used to seeing popular tech increasing its lifespan with seemingly trivial upgrades, but the upgrade to colour was a huge improvement on the original design. The newer games came with a new level of polish, while some of the older games like Pokemon got a new lick of paint. The Gameboy Color was an easy purchasing decision because it was completely backwards compatible with original Gameboy games. 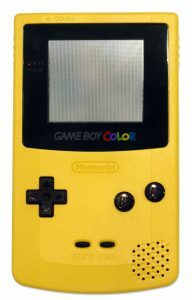 The Gameboy and the Gameboy Color had combined sales of over 118 million units worldwide; making it the third highest selling games system in existence. Did you have a Furby or a Teletubby that wouldn’t shut up? Was Christmas 1998 full of different toys for you? Let us know down below in the comments!